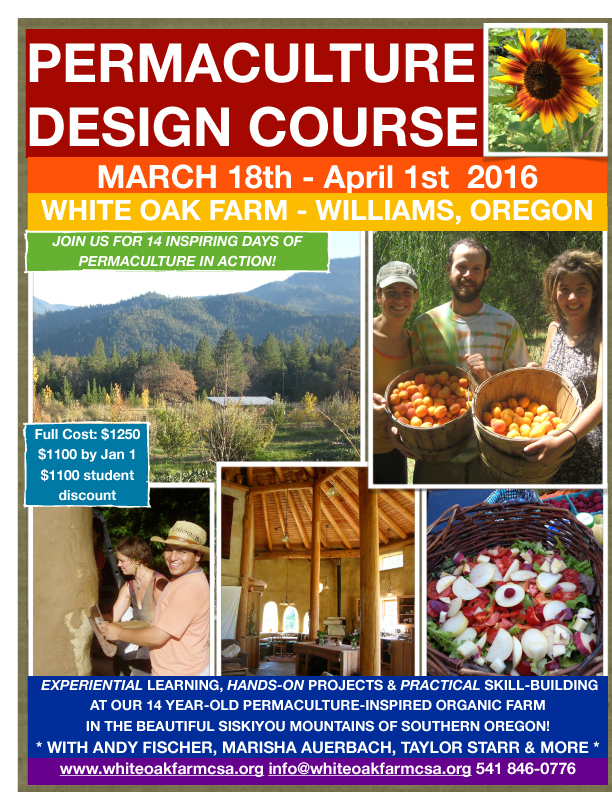 We are excited to offer a permaculture design course(PDC) at White Oak Farm in Williams Oregon. The teaching crew will include: Marisha Auerback, Andy Fischer, Taylor Starr, Don Tipping, Samantha Sweetwater, Tom Ward, Marko Bey and more to be announced. The theme for this course is Permaculture in Action – how to bring whole systems design into your life and livelihood.